IDF soldier identifies Arab throwing rocks near Efrat, performed procedure for arresting suspect ending with gunfire, killing suspect. Judea and Samaria Division Commander Brigadier General Eran Niv and Etzion Regional Brigade Commander Colonel David Shapira conducted an investigation following an incident that occurred Wednesday evening at the Efrat intersection at the entrance to the city of Bethlehem. 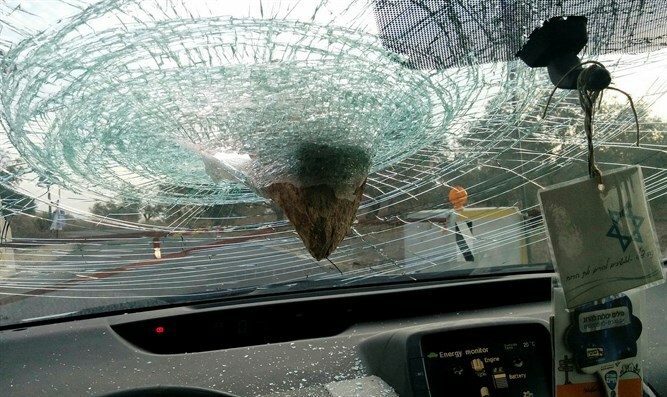 According to the investigation, an IDF soldier guarding a military post near the junction identified an Arab throwing rocks at vehicles and performed the procedure for arresting a suspect that ended in gunfire. The possibility is being examined that the incident involved friction between Arabs including rock throwing. The IDF Spokesman said the investigation of the incident continues as the Military Police Chief Investigations Division opened an investigation. MK Betzalel Smotrich of the National Union responded, "I didn't understand what the problem was and what there is to investigate. Whoever throws rocks at Israeli vehicles is a terrorist, and it's very good that he was shot and killed."